It’s what she would have wanted. But why was I so chipper? Well, later that day I was off north of the border for the Scottish Half Marathon, and about to join that special club of people who are not merely content to flog it round the towns and cities which are geographically convenient, but who must spend time and effort to get to unfamiliar towns and cities to do the same. Yes, alongside my good friend and running partner Matthew Jones, I was about to become a bone fide ‘run tourist’. Travelling by train from Northallerton to Edinburgh, we’d opted for that touch of luxury that only a first class upgrade can bring: a constant supply of tea and biscuits…a seat that’s adjustable if you press a button and summon the strength of ten tigers…napkins embodied with the train company logo placed over the seat headrest to absorb any cranial discharge. Plus, free food! Well, food you’ve amply paid for in the price of the upgrade. Still though: food. Having overcome the urge to reply to the question ‘how many sandwiches would you like?’ with the answer ‘47’, I’d just crammed approximately four-fifths of a ploughman’s into my mouth when the American chap opposite, in a gentle-to-the-point-of-inaudible tone, asked ‘what constitutes a ploughman’s?’ After managing to avoid accidently choking and/or pebble-dashing his face with Branston Pickle, I began a cobbling together what I though was a reasonably concise and accurate definition of the sandwich’s etymological origins. Two things became quickly apparent: firstly, he didn’t understand a word I was saying. Secondly, a glance across our shared table indicated he was on his third double whiskey of the morning. Luckily, the arrival of the drinks trolley or indeed ‘the whiskey man’ (his words, not mine) created a natural pause in the ‘conversation’ which Jones and I seized to set about doing the cryptic crossword in the complimentary newspaper. This was soon downgraded to the non-cryptic crossword. Which was then itself downgraded to the ‘codeword’. Also downgraded to ‘putting Germany or the number 9 for all the answers in the codeword’. We were about to downgrade that to ‘let’s just draw little moustaches and glasses on all the people in the paper’ when we arrived in Edinburgh. Our exit from Edinburgh Waverly was temporarily blocked by a man with an all-consuming fear of escalators. Rarely have I seen a man perform such an unexpected recoil at the top of a moving staircase. I’m not sure what was going on – although if I was pushed for an answer I’d plump for him being in the midst of a Final Destination-esque vision of some horrendous escalator accident – but the sheer volume of people gave him no chance but to face his fears and eventually we were out and on our way to Edinburgh’s finest Travelodge. Well, a Travelodge in Edinburgh. 1) At a tender age, witnessing the death of Coronation Street’s Alan Bradley at the hands of a Blackpool tram. Do trams have hands? Stop being pedantic. But I avoided being trammed to death on this particular occasion, and before I knew it we were waiting at the reception desk of our hotel. Now I know at times it must seem like I paint a picture of being a man who is surrounded by oddballs near constantly, but I swear I’m just telling it like it is: the chap behind us in the short queue had just finished offering his unique brand of critique as regards the corporate art on display in the Travelodge foyer when he piped up with the question ‘what street is this?’ A perfectly acceptable question, you might say. But not when it’s followed up with ‘Is this a Travelodge?’ Checking-in proceedings were then duly hastened so we could retire to the relative safety of our room. After ditching the bags and resting up for a bit we headed back into the city centre. Priority one was getting something to eat. Jones’s special dietary requirements mean a perusal of a menu or three is required before a final decision can be made. We eventually narrowed it down to two: either Zizzi’s Italian or Ryan’s Bar. Now, in a moment of undiluted selfishness I insisted on the latter as they had haggis and I fancied haggis. There was one edible option for Jones here – which I would insist on referring to as ‘the pea shite’ – so we were good to go. However, we had a problem. I’ve tried several times to include a concise description of exactly what occurred next, but it is perhaps best summed up with the mock headline ‘Multiple entrances into pub that could be in fact be three pubs but isn’t/aren’t confuse dithering chaps who are forced to make a humiliating retreat’. We went to Zizzi’s. It was very nice. 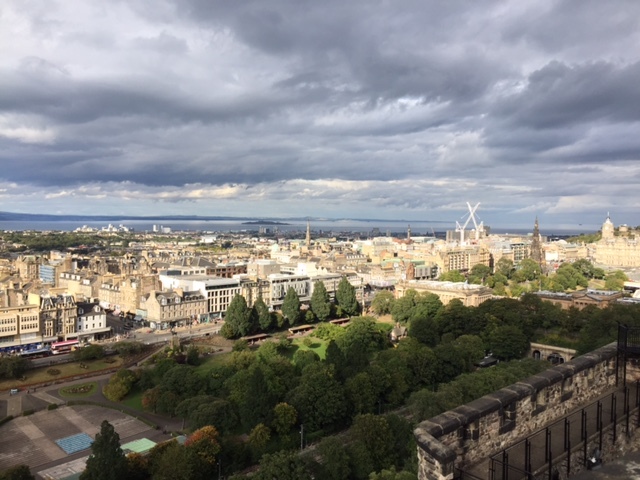 After that we headed up to Edinburgh Castle to take in the view. Then it was on to the cinema. 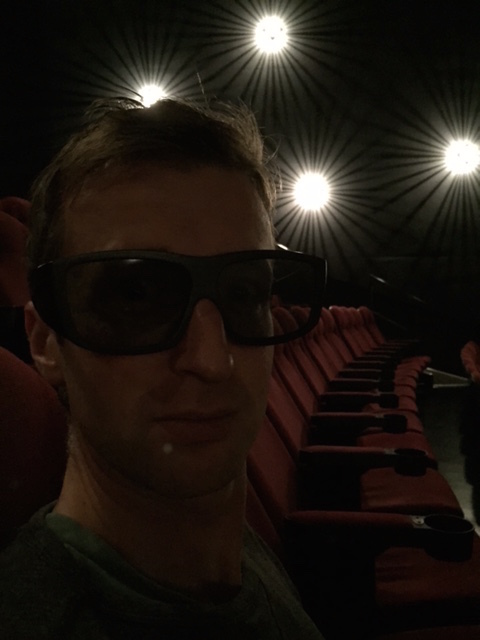 We were booked into the IMAX for a screening of Everest. I’d only ever been to and IMAX screen once before, which was an educational film at Niagara Falls (‘IT MEANS “THUNDERING WATERS”’), so I was looking forward to it. And I wasn’t disappointed. The tale of determined adventurers seeking to attain personal satisfaction by scaling Everest was surely not too dissimilar to our efforts to conquer The Scottish Half Marathon, too. Although I was hoping to avoid losing both hands and a nose to frostbite, if at all possible. Next we’d head to the pub for a pint. One, singular pint. After all, we were athletes. Our performance would be affected. After a little more classic dithering we ended up in an Edinburgh drinking pit. Well, I might be being a bit harsh, but this was not ‘a tourist pub’. The rugby was on though, so I could feign interest in that whilst Jones explained the rules and we could both avoid being shivved by a chap on his 23rd pint of McEwan’s Best Scotch. A problem arose, however. One of the teams playing rugby on the TV was England. They were playing Fiji. And they were winning. Which was going down…poorly, particularly with one chap who was rather vocal as regards his dislike of England/Englishmen/Robert Englund. I must stress, he wasn’t Scottish. And I may not be the most travelled man, but I’m quite certain he wasn’t Fijian. We decided we’d best down pints and leave at a rate that would’ve impressed Norris McWhirter. We couldn’t have that being our sole experience of being ‘out on the town’ though, so the aforementioned limit of one singular pint was increased to two singular pints. Doubly cautious owing to our relative failure as regards the first choice of public house, we circled one like a Boeing 747 circles an international airport. At this point, I saw Krishnan Guru-Murthy. I think. Or a chap who looked just like him. Jones wasn’t so sure, but it gave us something to talk about in pub two of two, which was a lot more welcoming. It was in fact the aforementioned Ryan’s Bar. As is often the case, the ‘two singular pints’ limit became somewhat flexible which led to me declaring, in what Jones referred to as ‘a moment of Kevin Keegan-like sincerity’, that ‘in all seriousness, I must stop at 4 pints’. We opted to help nature along by soaking up the beer with two bowls of chips. And some tomato sauce which, for reasons known only to the staff of Ryan’s Bar, took about 20 minutes to produce after being requested and arrived in two small jam jars accompanied by profuse apologies. 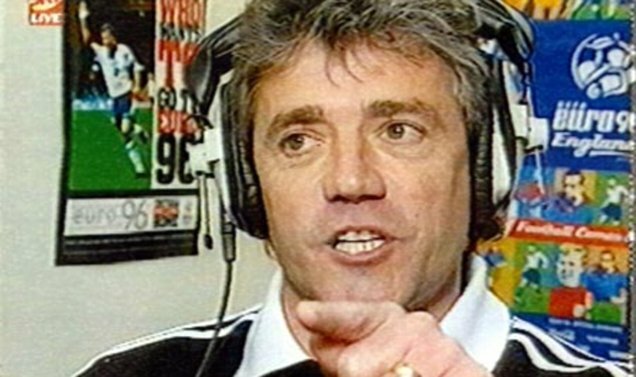 It should be noted – and I’m sure Kevin Keegan would be proud – that we reined in the drinking at a mere 3 pints and headed back to the Travelodge. After all, we had 13.1 miles to run the next day. In what would be unseasonably warm weather. We set about drunkenly working out what we were doing the next morning. It was set: up at 7am, breakfast at half past, down to the station by 9am, 6 minutes along the line to Musselburgh, hop on the shuttlebus to the start line with oodles of time to spare. No problem. Surely. All that was left that evening was to gently mock each other’s idiosyncrasies: Jones took great pleasure in the fact that I insisted on propping the hotel room chair against the door ‘to give me a fighting chance of hearing if anyone was breaking in’. It helped me sleep. That and clutching the TV remote control which I planned to hurl at the door/chair if I heard it move. You’ve got to have a plan. 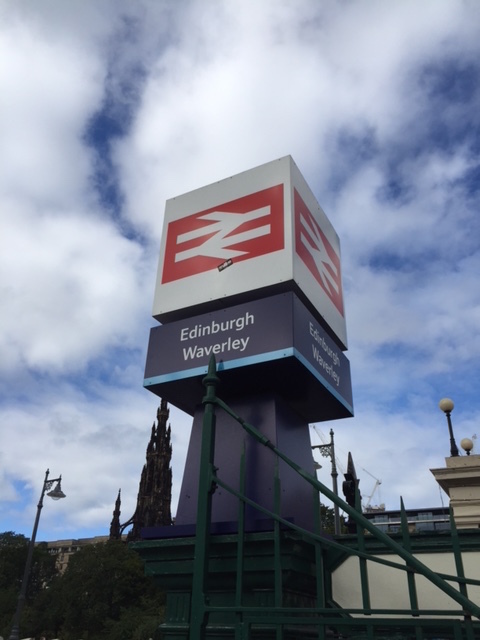 This entry was posted in Events and tagged edinburgh, exercise, fitness, IMAX, jogging, kevin keegan, race, running, scottish half marathon, travelodge. Bookmark the permalink. 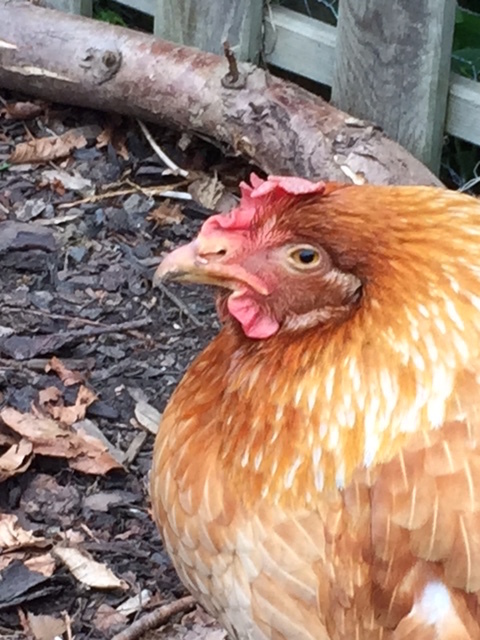 I chuckled at your hen’s name. Very cute pun. Your daughter is a clever girl.